Failure. It’s every homeschooling mom’s biggest fear. We imagine our kids growing up, sitting in a counseling office sharing how we ruined their lives because we homeschooled them. They sit crying, describing how they couldn’t get into college or find a decent job and had no idea how to deal with the real world. Dear Mom, I don’t want to flame the kindling of fear into a raging fire. But, yes, it is possible to fail at homeschooling. Just maybe not in the way you think, though. 1. Put academics ahead of relationship. Your kids have a God-given need for security and significance—actually we all do. That starts with knowing they are loved and accepted for who they are, not what they do. Does this mean high expectations are bad? Maybe not. But are they reasonable expectations based on how God designed them? And do we respect their dreams, talents, and gifts? Their individuality? The real question is this: Do they know they are loved unconditionally? Relationship is about getting to know one another. About loving, supporting, encouraging, building up and not tearing down. I’ve heard people say, “Be their parent, not their friend.” Does it have to be one or the other? Aren’t friends suppose to look out for what is best for the other? As parents we teach and guide, helping them to become adults. And sometimes that means doing hard things and expecting them to do hard things too. Yes, we risk their anger and even rejection at times, but real friends do that too. Perhaps we should see our family relationships as the deepest kind of friendships. The ones you can’t simply walk away from when things are hard. So let’s make strong relationships with our children a priority. 2. Believe that there is a formula for raising perfect kids. Not long after our oldest was born, I remember working through a popular book and class about how to raise kids taught by a couple through our church at that time. Honestly it wasn’t long before I realized something felt off about it. Whether it was the intention of the authors or not, it seemed they had a formula for everything in parenting—including when my child should be sleeping through the night. Sure it had some good advice, but guess what? My son didn’t read the book. This was only the first of many times I realized my kids didn’t read the book, whether it was the parenting ones or the homeschooling ones. And I’m so glad they didn’t. Because if there was a formula we could follow, we wouldn’t need the Holy Sprit to guide us. My kids are uniquely created by God. The only book we need is God’s Word, the one written by their creator. Don’t get me wrong, I enjoy reading and learning from others and value it highly. Even as we speak you’ll find three books I’m reading nearby. But they are only valuable when they point me to truth. And, as I heard someone say many years ago, all truth is God’s truth. We need to make sure we don’t consider other’s opinions truth simply because they wrote a book (or blog post) about it 😉 Line it up with Scripture, and then pray about any advice in light of who your kids are. I often joke that I did my best parenting before I had children and it has gone downhill ever since. Yes, the older they got, the more I realized I had no idea what I was doing. If parenting teaches us anything it might be, “You are not in control.” But Dear Mom, that is a very good thing, because the One who is in control, is infinitely more wise and good. 3. Spend more time training their character than your own. 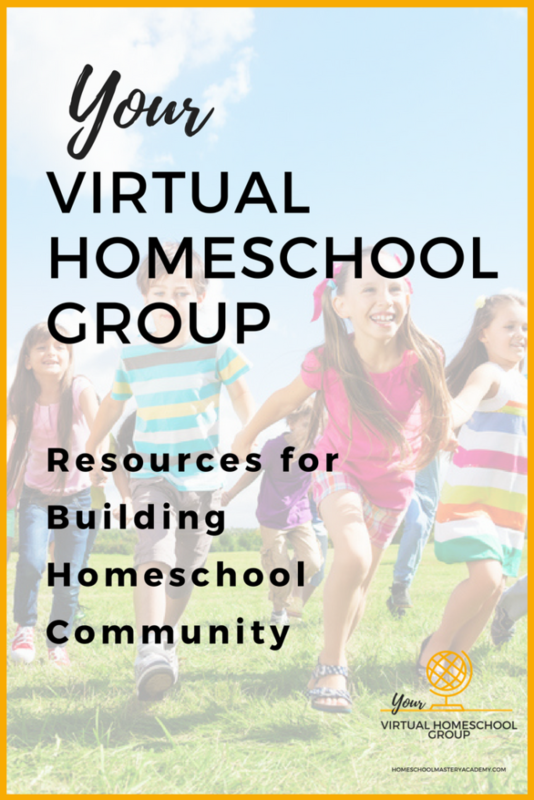 I’ve often heard people say one of the reasons they choose to homeschool their children is to train their character in addition to educating their minds. Martin Luther King, Jr. put it this way. Does anyone really want to raise smart individuals devoid of character? I think we already have plenty in this world. So yes! Character is important for our kids. We recognize what they need training in. Sometimes the things we see in our kids we wish they would change, though, are really the things we need to change about ourselves first (or at least work together on). And y’all, kids are really good at recognizing inconsistency. They see when our actions and words don’t match. And although they may not say anything while they are young they do know something about this isn’t right. As teens this realization sometimes manifests itself in anger. I really don’t think any of us wants to provoke our children to anger, but there is a reason the Bible has to tell us not to. And so we have to ask, “What are the things that I do that stir it up in my children?” I believe an attitude of “Do what I say and not what I do” is a big one. But consider the other side. How powerful is leading by example? By modeling instead of constantly molding? So let’s take an honest look at ourselves. To ask God to reveal those things that He wants to grow in us. This is not a time for us to compare ourselves to others or fall into a self loathing circle of thinking. Instead let’s humble ourselves before our good God, the One who loves us and created us and wants what is best for us. To let the Word pierce through to the thoughts and intentions of our hearts (see Hebrews 4:12). To pray regularly and to find community—the kind where iron sharpens iron and encourages and builds us up, even when it takes saying the hard things. May we have proper perspective of who we are in relation to who He is. Humility before God is a powerful parenting skill. It’s essential as a teacher, too. Look at all the things they do. Maybe we should add more? Her kids are so smart. Why do mine struggle so much? Must be nice to have the perfect marriage. I wish my house looked like that. I wish my kids acted like that. I wish my teens were getting scholarships like hers. I wish, I wish, I wish. When we compare, we make others our standard. We forget to be thankful for where God has placed us and the things he has given us. Discontent grows and we begin to make decisions based on what others are doing, being, and having. When we are tempted to look at another woman’s Instagram feed, let’s remember God did not give us her life, he gave us ours. And his gifts are good. So let’s start with a thankful heart and keep our eyes focused on our own race. And since part of our race is to homeschool our kids, let’s remember to focus on the most important things. 5. Try to do it alone. 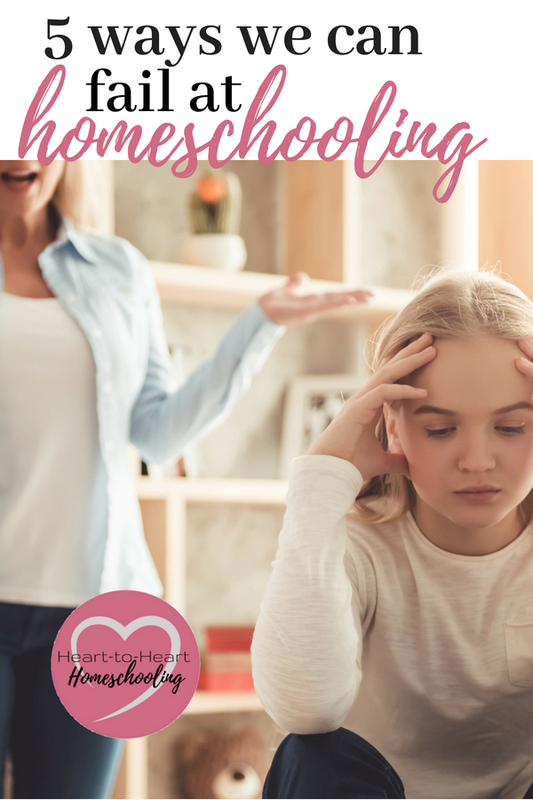 The first question most new homeschoolers are asked when they announce their decision to homeschool is “What about socialization?” I admit, it is hard to to keep from rolling our eyes at this one. But maybe it is actually a good question we should think about. Perhaps we should consider what the people who ask that question really mean. What about friends? About being around other people and learning to work with them? What about learning how to deal with conflict and hurt? Yes these are valid questions, not just for our kids, but for us too. We need to be intentional about it. God created us to live in relationship, just as God the Father, Son, and Holy Spirit do. To be a part of community. Living in community, drives us to become more Christlike. Let’s face it, we can think we know how to love people until we have to deal with someone who seems quite unlovable. And community provides a place for us to be encouraged. Who doesn’t need that on the journey called homeschooling? We may disagree with the how much, how it should be done, and what it should look like. But that doesn’t mean we don’t need to be mindful of our children’s need to have a variety of relationships, including ones with their peers. And just as important, maybe we need to be mindful of our own needs too. So it may be through church, a co-op, or getting together with some other families to go on field trips. It may be classes outside of the home or park days you enjoy. But find something. But relationships matter. Education doesn’t happen in isolation. It happens in community. Yes, it is possible to fail at homeschooling. But you will notice these aren’t academic reasons. Really they are simply a reminder to take care of first things first. And maybe we need to redefine what failure and success actually are. Perhaps we need to focus not on our fears, but on the possibilities. Maybe, just maybe, we need to be intentional about the most important things. Realize there are no formulas, but we do have the Holy Spirit. Start with your relationship with God to form your own character, first. Keep your eyes on what God has called you and your family to. Find your people—your community—and help them find theirs. And if you have been struggling in some areas, don’t give up. Our kids are more resilient than we think, more willing to forgive. It’s part of the relationship. I can’t tell you if your kids will ace the SATs and go to an ivy league college (or if you would even want them to!). There are no guarantees no matter how we choose to parent or educate our children. But what we can do is to be faithful to let God lead us, to rely on the Holy Spirit, to pray for them and with them. I believe success is defined not in results, but in the process—in our willingness to love and obey Him, to be sensitive to His leading, and to love our children well. We are not responsible for results, but we are responsible for the stewardship of all He has blessed us with, including our children. May we be faithful to follow Him in the the how and trust Him with whatever the future holds. Thank you! Such a great way of putting it—a journey of trusting God to do the work. Love that! Today, I feel like I failed. This post helped me take a step back and remember why I decided to homeschool in the first place. Thank you.